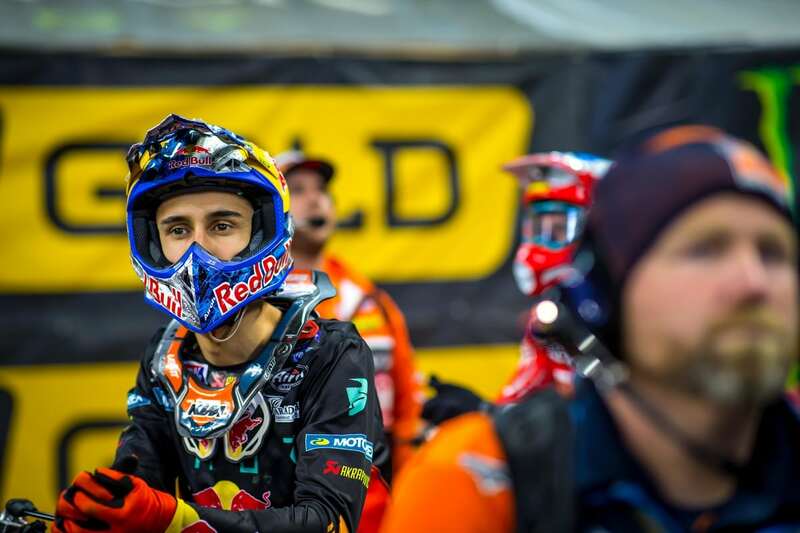 Marvin Musquin was declared the official winner of the 2019 Seattle 450 Supercross, but only after a long consultation with FIM referee John Gallagher. On the second lap, Musquin jumped under a red cross flag. The rules clearly state that riders are to exercise extreme caution in these situations, and that means no jumping. Chad Reed was still on the ground after crashing on the first lap. In the end, Musquin was awarded the win, but only given 19 points. A main event win generally pays 26 points. This seems arbitrary, but it’s actually stated in the AMA rulebook. The section dealing with the red cross flag appears below. Section 9c clearly covers this situation. 1. This flag or a red flashing light may be displayed at the beginning of a triple jump or a series of jumps. 2. Takes precedence over all other flags that may be displayed. 3. No passing is allowed until clear of the incident. 4. Riders must follow all directions given by race officials in that section. 5. The riders must do all of the obstacles individually, I.E. NO double, triple, step on/off etc. until clear of the incident. 6. Riders must exercise extreme caution and not race or accelerate in an unsafe manner until they are clear of the incident. 7. When used on a triple jump, the area of concern is at a minimum, the whole obstacle, I.E. if a rider is down on the face of the triple or after the first or second jump, you must not jump any section of the triple. 8. This includes the sighting or cool down laps. a. During practice and qualifying, the loss of the fastest lap time during that session. b. During Heat or LCQ races, the loss of number of positions gained plus two additional positions in the final results for that race. c. During a main event race, if no positions were gained, the penalty will be the points and purse equal to two positions in the final results for that race plus two additional points. d. During a main event race, if any positions are gained, the loss of number of positions gained plus the points and purse equal to two additional positions in the final results for that race, plus two additional points. e. During a sighting or cool down lap, a fine as determined by Race Direction. f. If at any time Race Direction determines that it was not a blatant violation of the rule, a warning or fine may be issued. 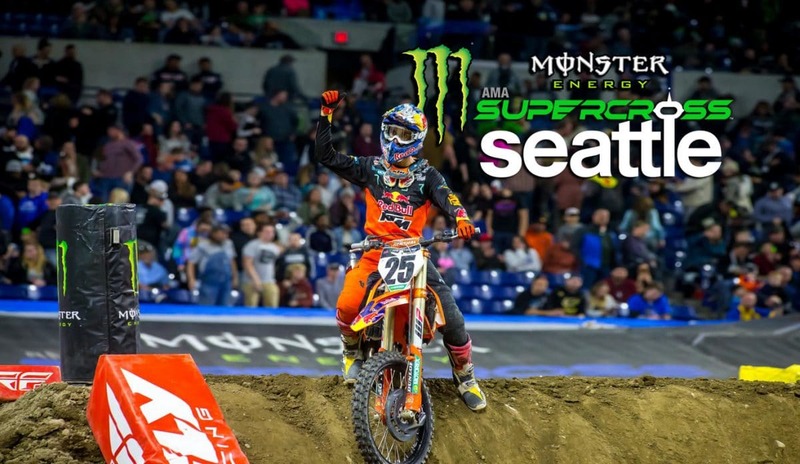 For more coverage of the 2019 Seattle Supercross, click here.